New Year's Eve: 'Kiss Me Kate' & Cole Porter Live! 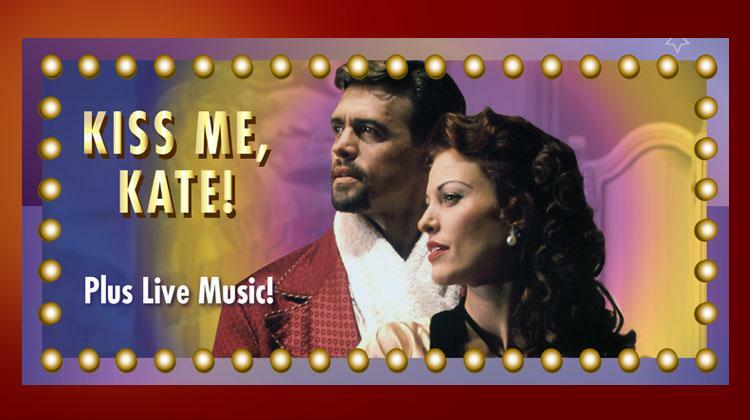 Celebrate Romance… Cole Porter’s Broadway Gem, ‘Kiss Me Kate’ Appears On the Big Screen! Plus more Cole Porter live on stage with Noah Griffin and musical guests! Champagne and Chocolates for everyone!